BLOOKUNITY I HAVE RETURNED FROM MY HIATUS. With more Mulan + Swan Lake snippets. Reminder that this isn't just for novels! 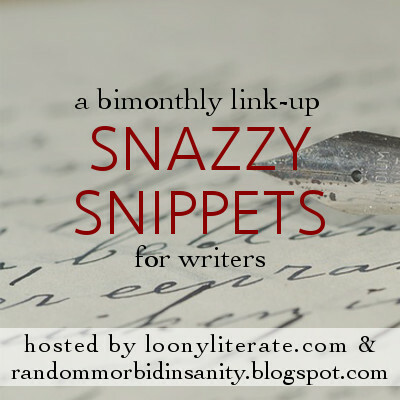 The prompts were designed with novels in mind, but most are also applicable to short stories, poetry, anything. 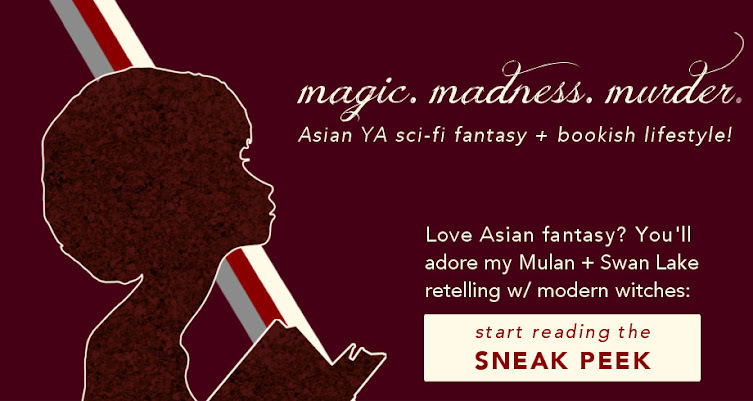 For those who are new, I'll be sharing snippets from my WIP, a Mulan + Swan Lake retelling. It includes monsters and magic, grave robbers, deaf assassin-witches, witchy rival-lover dynamics, and lots of desserts. I like to imagine it as VICIOUS meets THE NIGHT CIRCUS. For half a year, her royal mother spent the two hours before midnight to read Mak the most ancient magical texts, and two hours after to let Mak touch the magic. One morning, instead of her usual nap, Mak snuck out and tried to burn down the vegetable garden. Instead she’d burned out and spent a week in a hospital bed. That was the first and only time her father raised his voice to her royal mother. When an incredibly talented (and incredibly gorgeous) witch shows up, one can predict the conflict. Mak's incredibly fabulous parents. Let me tell you, those two have backstory. Not written down, I mean, but I just know. Mak learns magic and instantly decides to burn stuff. A girl after my own heart. Oh, and since I'm getting back into revising this (aiming for mid-July, once I have all school stuff out of the way), I'm now sharing my writing progress every week to anyone who wants to be email friends! I'll start sending them next week, so grab your takeout and hop on the train! “I think I still have the poison left from last time to deal with enemy sisters.” The cold garage air pricked goosebumps on her bare arms, and Mak hugged the candy box closer to her chest. Since this IS a YA retelling, I could have chosen literally any snippet. But here, I think Mak is behaving like a child who thinks she can take care of herself. So basically every child ever. Well ... two guesses left. This snippet, though, shows just how melodramatic and unrealistic Mak can be. As I said: after my own heart. For those of you who are unaware, I love retelling Mulan. This retelling is so very much about femininity. I looked through my musings back from when I translated the original ballad of Mulan and found this gem. I don't think it needs further comment, really, except that this WIP is all about femininity and China and mis-identity. Alternatively, join my takeout army and read the spinoff short story about a deaf assassin-witch conquering cities and critiquing tea! You may have noticed, by the way, that I no longer use the title Witches Black & Silver to refer to this WIP. That's because I've thought of a new, better name — and it's nearly quoted in one of the snippets. Guessing time, blookunity! Which is your favourite snippet? What do you think the WIP's new title is? And how is your own writing coming along?